This past weekend MIT’s campus was overflowing with even more geeks than already grace its nerdy grounds. The Boston Festival of Indie Games (FIG) took over, bombarding Boston’s geeky masses with an offering of independently created tabletop games, digital games, and the wisdom of professional game developers. Although small in comparison to the numbers that show up to PAX and E3, the Festival featured an impressively diverse offering of games, from ninja dice games to zombie football to games for social change and games about depression. Gamers of every gaming style could find something to satisfy their geeky tastes at this gathering of daring developers. 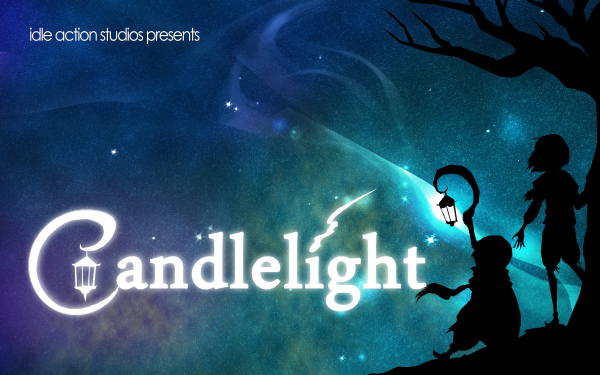 Featuring a beautiful silhouette design, this 2D puzzle platformer allows you to control two characters at the same time — a boy whose movement is limited by the lantern he carries and a taller young girl with greater mobility. The two characters must work their way through a dynamic maze whose puzzles they can only solve together, helping each other along the way and often taking vastly divergent paths in order to do so. The game will be available on Mac and PC late this Fall. Created by mom and son team Christine and Michael Frauenhofer, Demon Chic is a delightful head-trip of an RPG that warps you into the freaky world of a trio of roommates navigating love, life, and the demons that come along with them. A creative mix gameplay folds perfectly into the immersive stories that touch on big bad ideas like race, gender, and economics, enriching the narrative. As the three roommates Ashok, his boyfriend Gary, and his brother Devraj, all high out of their minds, get really real with each other, they’re constantly interrupted by various freaky demons, whom they battle using powers they acquire in an on-screen word-jumble. Alternately hilarious, weird, and touching, Demon Chic is as much a surrealist head trip as it is an honest look at real life and queer issues. The game is available in the iTunes App Store and is vying for a place on Steam (for PC & Mac). Anthropologist Karen Bellinger Wehner is not a gamer, but, with an awe for the teaching power of games, she put her PhD to the test and created The Time Tribe, an RPG puzzle game that sets you off an adventures across continents and time. Designed with historically- and culturally-accurate artifacts, the game aims to endow young players with a greater cultural literacy in a society that often criminalizes or ignores whole cultures and peoples according to political interests. You can play different parts of the game as any one of the quirky cast of four young kids whose choices from the moment they arrive at an old mansion impact how the story unfolds. To bridge the real world with the game’s fun adventuring, The Time Tribe offers artifact packages you can get in the mail, an online community, a Time Tribe comic and short stories, and even a feature that lets players donate in-game currency to social justice organization around the world. But, with a great story and some mystery mixed in, the game is just plain fun for kids and adults alike. A point-and-click mystery thriller, Cognition follows FBI detective Erica Reed as she uses her ability to see the past when she touches an object to solve her brother’s murder by a serial killer who seems to have resurfaced just to taunt her. The game is now in its fourth and final episode, but all four episodes are available online for Mac and PC. A self-proclaimed mix of Heavy Rain and Mass Effect, Revolution 60 features an all-female special operative team in the future on a mission to steal a space shuttle and prevent nuclear war. Heavily cinematic but boasting interesting gameplay and combat mechanics, the game is pushing the boundaries of what is possible for games on the iPad. You play as special operative Holiday, who can be as no-nonsense or as sassy as you make her, but every choice you make affects the next step and how the game ultimately ends. Part of a six-part series, the game will be out in March 2014 on iOS with PC and Mac soon to follow. Not exactly the most encouraging title, but the game has a great premise and offers an important look at what it’s like to live with depression. A free-to-play, text-heavy online game, Depression Quest takes you through the everyday experience of a person suffering from depression, from simply getting out of bed in the morning to conversations with a significant other. With five possible endings and over 150 unique encounters, every choice you make throughout the “quest” has impacts your depression levels and what comes next. At the Festival gamers crawled inside a sheet tent to get the full experience of the game. Created by Zoe Quinn to spread awareness about depression, the game is free to play online, but donations go to iFred, an organization that supports education and research on depression. InGet Water! players experience modern India as the young girl Maya, who only wants to go to school, but she is continually removed from classes in order to collect water. The faster you help Maya get water, the sooner she can return to her studies. Throughout the game, Maya acquires new tools and skills that allow her to collect more water faster. Created by Montreal-based team Decode Global, the game aims to draw attention to the dual-causes of water scarcity and girls’ education in India and other nations. However more than just becoming aware of the issues, players also learn about the efforts of real world charities like chartiy:water and the international work to bring water to developing nations. Get Water! is available on iPad in the U.S. and will be available on the App Store for India and Canada September 17th.